It also could have been the guitar. At any rate, it was the first instrument to which the Berlin-based bassist Thomas Kolarczyk dedicated himself. But then he discovered his love for the contrabass, studied at Jazz Institut Berlin (Universität der Künste / Hochschule für Musik Hanns Eisler) and found masters in teachers such as Marc Muellbauer and Greg Cohen who introduced him to the world of deep tones, composition and complex sound design. Curious in many directions from experimental rock to urban jazz and all the way to ethnic and folk music influences, it was not difficult for Kolarczyk to find connection to different groups of musicians. Over the years, he has already won a few prizes from "Jugend jazzt" (Young people play jazz) to the "Jungen München Jazzpreis” (Young Munich Jazz Award), at times under his own name and at times as a member of other bands such as the quintet of saxophonist Marc Doffey. His path also repeatedly takes him to Poland, for instance in the shimmering cultural metropolis of Krakow where he works with several improvisation and dance ensembles. In addition, he works with Turkish co-musicians in the Ensemble Roye MA and with the singers Sakina and Hani. These different sound and style spheres influence his own projects. A song like "Hava" has its roots in the Oriental sound space, although significantly sublimated, and "Mifida" is like a greeting from the Balkans rhythmically and in its melodic line in places. 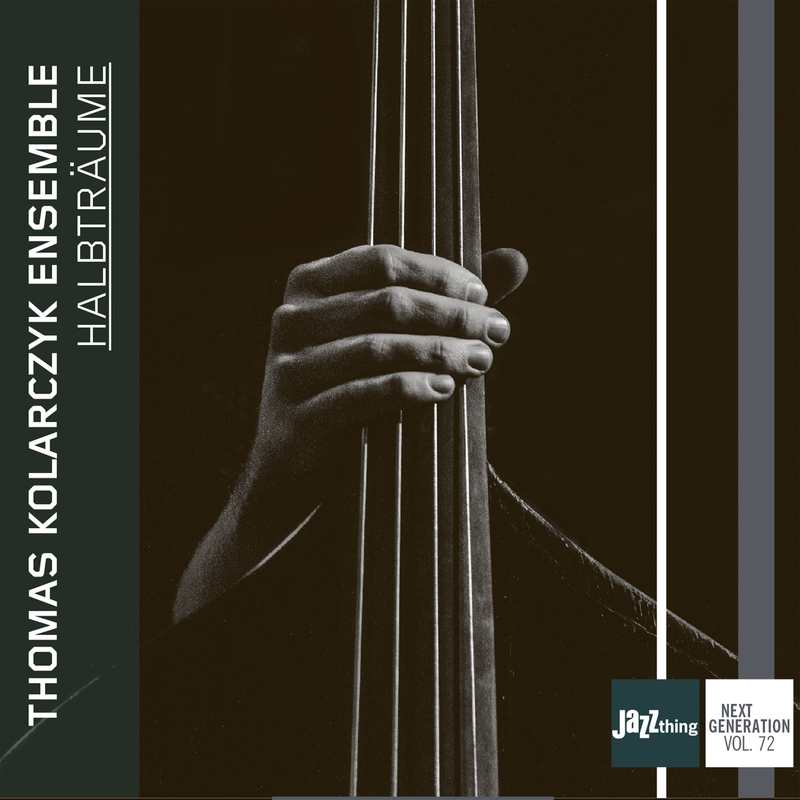 On the whole, Kolarczyk’s quintet leaves plenty of room for the combination of sprawling improvisations and motifs that do not deny their origin from folk music. This playing mixture is also continued through richly expressive playing of his partners all the way to free realms, where the transparency of the sound can also be maintained because the band dispenses with a harmony instrument. In addition to Kolarczyk, the band includes Berlin clarinetist Viktor Wolf, Berlin-based alto saxophonist Otto Hirte and tenor saxophonist Slawek Pezda from Krakow. The Polish power-drummer Kuba Gudz keeps the sound structure free for expressiveness in places with immense power. And that is also at the center of the quintet’s debut CD "Halbträume” (Half-dreams). Because the Thomas Kolarczyk Ensemble, which also gives itself the subtitle "Musical initiative for the internationalization of the Occident”, among other things, plays with many spheres of influence, which have developed in jazz over the past decades into unique forms of expression. The power and wildness of the “free jazz” era and the creative finesse of modern jazz cultivated in all its details meet the melodic strands of the Balkans and the Orient, which in turn have developed long since into a metropolitan hybrid as a sound language. When the whole is played with the approach of the Thomas Kolarczyk Ensemble, which joins the individual mosaic pieces equally to a whole, then this is music that actually seems a bit more international than that of the Occident. "A very surprising and fascinating cd by this ensemble."